Bright and early today, my bag is packed and I’m ready to go. I’m thrilled to the point it has been a few sleepless nights. I’m doing what I love best –traveling and spending time with family and friends. I’m another year older today—but who’s counting? Well maybe we all should. Life becomes so busy that some days it seems like we are just waiting for the next event, the next moment, the next big thing, rushing through it all to check off our list. 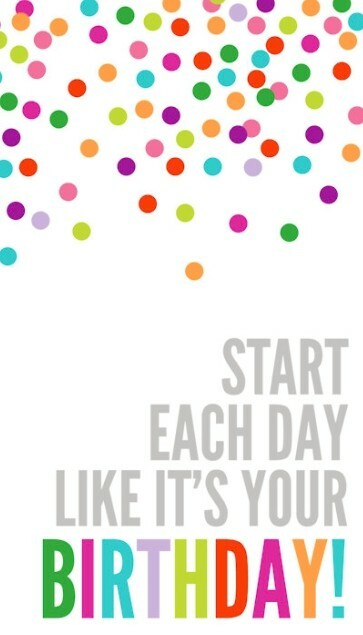 Start each day like it’s your birthday, with just as much excitement, happiness and vigor in all the moments you have. Take a step back and capture every moment, savor every bit of it. No worries, then next big thing will be right around the corner, so start enjoying now. What are you waiting for?